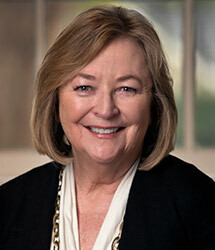 Jane Close Conoley serves as the seventh President of Long Beach State University. Prior to assuming this role she was the interim Chancellor of the University of California Riverside. She has also held leadership positions at the University of California Santa Barbara, Texas A&M University, and at the University of Nebraska Lincoln. Dr. Conoley is the author, co-author or editor of over one hundred twenty books, articles, and book chapters. Her latest book “Positive Psychology and Family Therapy” was co-authored with her husband, Dr. Collie W. Conoley. She serves on numerous journal editorial and community service boards. She has received research, teaching and service honors during her career. Both the American Psychological Association and the Association of Psychological Science honored Dr. Conoley with fellow status. Her research and development efforts in school safety, teacher quality, and student achievement have been supported by over 20 million dollars in external federal, state, and private funds. Her community service work has included working to prevent the underage use of alcohol and other drugs; improve school safety and prevent youngsters from joining gangs; promote bi-literacy among recent immigrant children; and increase low income children’s access to the arts.